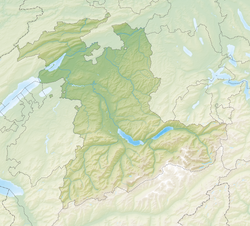 Interlaken (German pronunciation: [ˈɪntɐlakn̩]; leet. 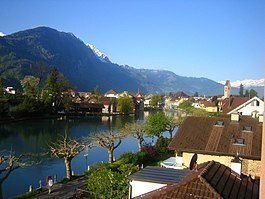 : atween lochs) is a stateestic toun an municipality in the Interlaken-Oberhasli admeenistrative destrict in the Swiss canton o Bern. This page wis last eeditit on 23 Apryle 2018, at 20:16.